New to eyelash extensions? No problem. We recommend these services for you to test out this new life style. Our friendly and highly professional stylists are more than happy to provide with free consultation to see which look is best for you. We're here to help. Contact us at 470-839-5597 for free consultant. The life cycle of natural eyelashes is about 8 to 12 weeks. With proper care, your lash extension Alpharetta will last as long as your own lash. In order for us to successfully bond a lash to your own lash, however, we must target a lash that is long enough to support the length of the extension. Typically these eyelashes are about 5 to 6 weeks old and are close to full maturity. This leaves you with about 5 to 6 weeks of wear before the last lash falls off. Since your own eyelashes fall off at different intervals, your extensions will slowly be shed off with the natural lash over the 5 to 6 week period. Because of this, touch ups are recommended about every 2 weeks to maintain the fullness of lush lashes. We do not recommend that you remove them on your own. You could either let your lash extension Alpharetta shed naturally or you could come in for us to remove them for you. You can wear mascara that's made for eyelash extensions Alpharetta. Please no waterproof mascara. 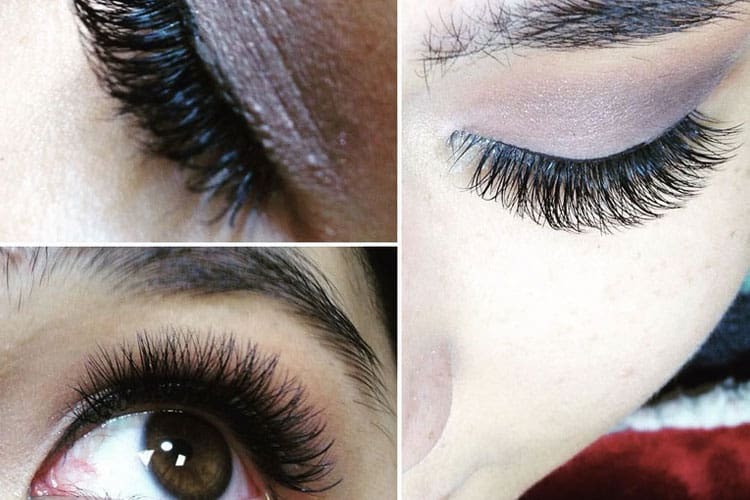 Lash extension Alpharetta comes with different type of curl, so there's no need to curl them yourself. Please do not attempt to curl them again as complications can happen including your lashes falling out.